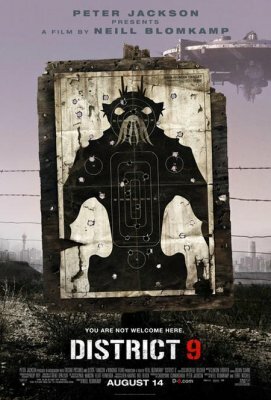 A little movie comes out of nowhere and steals the thunder of some of the late summer’s blockbusters — but is District 9 worth your time as a moviegoer? Blake braves a sore throat this week to answer that question for you! This entry was posted in At the Movies and tagged District 9, Neil Blomkamp. Bookmark the permalink.